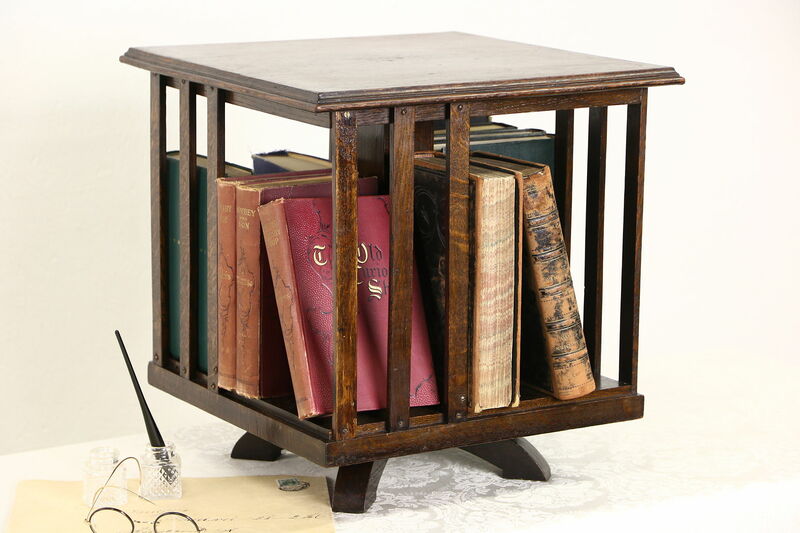 A revolving desktop bookcase from about 1910 is solid quarter sawn oak. The old finish is very well preserved on this American made antique. Measurements are 15" square and 15" tall. It will fit books up to 10" tall and 5 1/4" deep.